IMMACULATE CONDITION, PRICED TO SELL. RELAX ON THE INVITING FRONT PORCH OR THE REAR DECK IN OVERSIZED YARD IN THIS WELL CARED FOR BRICK 3 BR / 2 BA HOME. LAMINATE FLOORING, HOME LOOKS NEVER LIVED IN. VAULT CEILINGS, CEILING FANS, LARGE ATTACHED GARAGE WHICH ALSO HAS A SIDE EASY ACCESS DOOR. THE REAR YARD IS PERFECT FOR ENTERTAINING WITH PLENTY OF ROOM TO PLAY GAMES. YOU WILL NOT BE DISAPPOINTED ON THE CONDITION. REFRIGERATOR, RANGE, FRONT LOAD WASHER AND DRYER ARE INCLUDED IN PRICE. NEW ROOF 2012. Wilchar Estates is a subdivision within the city of Mt Washington, Kentucky. There are currently 0 Homes for Sale within Wilchar Estates, with asking prices ranging from $0 to $0. The average list price per square foot of the available inventory in Wilchar Estates is $0, which is the Mt Washington average of $220. The Average Sales price of all sold real estate in this subdivision for the past year is $185,378. Recent comparable homes have been selling for 98.41% of their asking price. Waterfront homes represent of the available Wilchar Estates inventory. The total number of households in the zip code of Wilchar Estates is 7,255, with an average household size for of 2.66 people. The total number of renter households within the zip code of 40047 is 1,268, which means that 82.52% of households in this zipcode are owner occupant households. 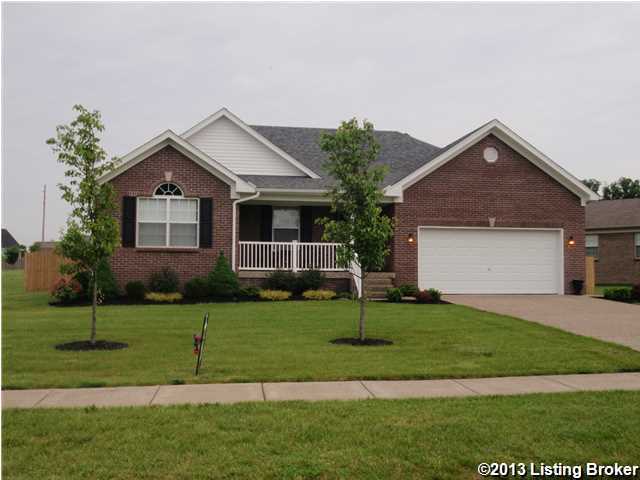 910 Justin, Mt Washington KY 40047 is a Home, with 3 bedrooms which is recently sold, it has 1,450 sqft, <1/4 ACRE sized lot, and 2 Car Garage parking. A comparable Other, has bedrooms and 0 baths, it was built in and is located at and for sale by its owner at $ 0. This home is located in the city of , in zip code , this County Other, it is in the Subdivision, and STONE MEADOWS are nearby neighborhoods.